We are a spiritual community of all ages! Children, youth and families are important participants in our common life together. In addition to Sunday activities, we also gather informally outside of church for summer picnics, trips to the pumpkin patch, pool parties, and more. Young children under the age of 4 are welcome in our secure, vibrant and well-stocked nursery in the lower level (down the wide stairs next to the fellowship hall) beginning at 9:30 a.m. Our church has a Safe Policy and completes background checks on all people who care for children. You are also very welcome to keep children with you in worship if you like...choose what is best for your family! After the "Time with the Children" in worship, children ages 4 to 12 are welcomed into our classroom in the lower level. Our teachers use the national curriculum Godly Play, which encourages children's spirituality by nurturing their innate sense of wonder and encounter with the sacred stories of our faith traditions. Teachers include our Youth Ministry Coordinator, Assistant Minister, and trained members of the congregation. To learn more about Godly Play, visit http://www.godlyplayfoundation.org/. The Youth Group meets about twice a month (often outside of church) for social, learning, and service activities that enable our youth to claim, develop and deepen their own unique spirituality. Retreats at Camp Adams during the mid-winter, as well as a week-long summer camp, offer a chance for youth to develop relationships with middle and high schoolers from other United Church of Christ churches. 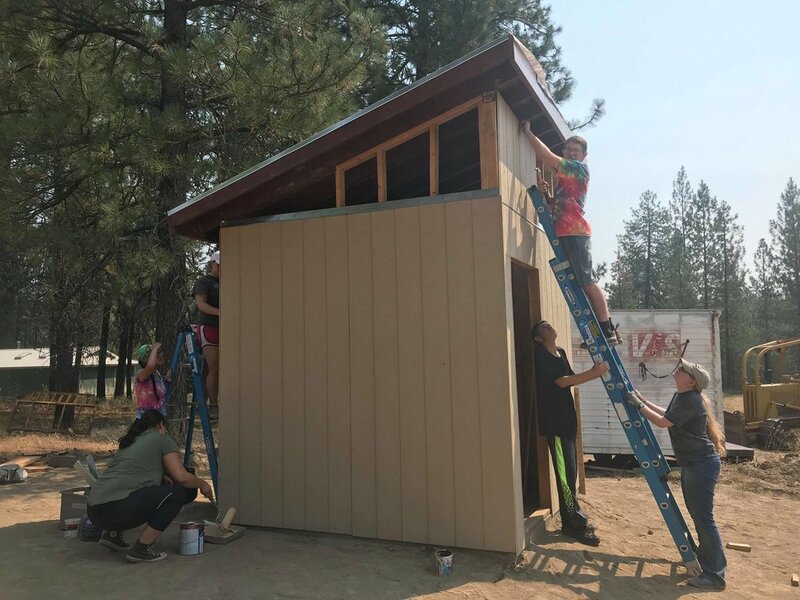 Recent summer "big trips" have included a week with Sierra Service Project and Western Regional Youth Event.